A lovely way for guests to share personal messages with you on your wedding day, a guest book is a must-have addition to your wedding stationery . 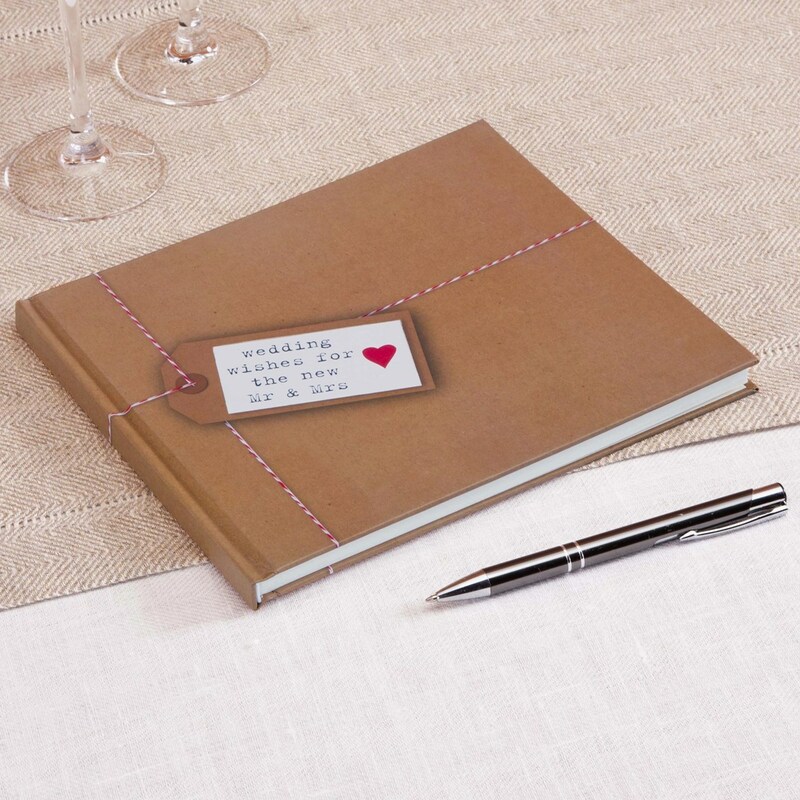 This elegant book, part of the "Just My Type" range, will become a wonderful wedding memento and gives guests an opportunity to record those special messages that can get lost in the course of a busy day. Featuring a simple luggage tag design, inscribed with the words "Wedding Wishes for the New Mr & Mrs", this lovely book has plenty of room for your friends and families to add their messages. Features 32 blank pages. Will become a cherished wedding memento.